We can manfacture a range of quick link bale ties with loops at the ends. Available in bright and galvanized. 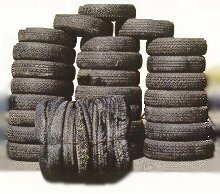 Pls email us if you have any interest of our Tyre baling wire.